In the last few years, much of the Web's focus has trended toward social networks and microblogging, and away from more traditional blogging. Twitter and Facebook are on the tips of most people's tongues, even when those sites often serve as much to link to news and blogs elsewhere, in addition to the much-lauded status updates. Regator, the blog search engine which debuted in mid 2008, and introduced a solid iPhone app one year later, is poised to revamp its service while keeping blog content front and center. The result, in preview now, is a solid data mine for content, trends and topics. In theory, the site could outright replace Web 1.0 engines like Technorati, and it looks to be significantly more useful - no matter your focus of interest. 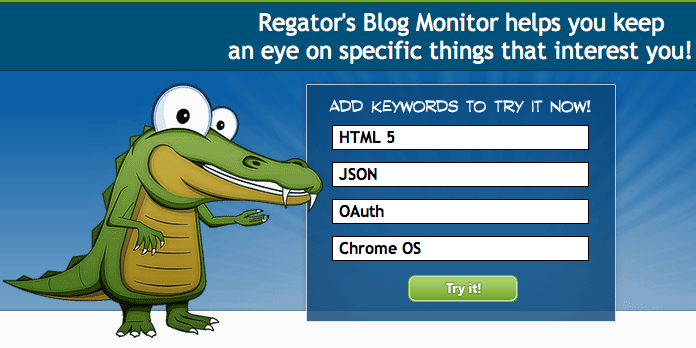 Regator still presents itself as surfacing the world's best blog posts from the world's best blogs. Not all make it in the highly selective network, but there are many quality sources that do in practically every subject, from Academics and Arts to Politics, Religion and Tech. 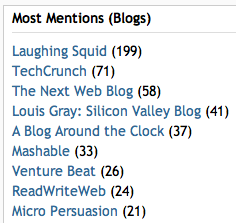 Regator's new preview steps up its blog coverage by showing trending topics, as Technorati never got quite right and Twitter and Google News have for their own properties. 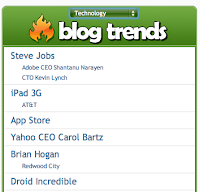 From global trends (such as Times Square and the Gulf of Mexico) to topical trends (such as Steve Jobs and the iPad 3G), Regator quickly updates you at a glance on what the blog world is talking about. As the site does now, you can still see popular and new stories by topic, as well as those with audio or video. But you can take a step further with two new sections, including trends and monitoring. 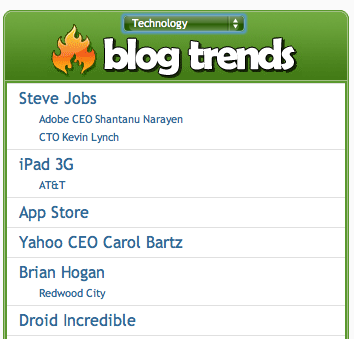 How is iPhone Trending in Blogs? Regator Knows. With Regator's deep archive of blog topics, you can compare up to three keywords, and see how they are spiking over time. Not unsurprisingly, Gizmodo spiked well beyond Engadget around their iPhone 4 coverage, and Apple dwarfs almost anybody else during Steve Jobs keynotes. You can see first day launches of products like Google Buzz, and the ensuing fade of coverage, or you can see consistent updates on more broad terms, such as "laptop", which only shows dips every weekend. Should one-time visits to the site not be enough, you can tap into Regator's blog monitor to follow keywords and send you updates on these keywords - much like Google News alerts and TweetBeep. Regator may have started out as a way for the community to help find the best of the Web through up arrows and down arrows, but its upcoming revamp, which you can gain access through via invites, looks solid enough to be the highest quality blog search available, with deep trendspotting. I will keep using Icerocket search for finding all mentions from all blogs, but Regator has trimmed the fat and returned with the best. Just go to http://preview.regator.com with the invite code: "louisgraysentme" and check it out for yourself.